Mike Desanti wears many hats, he is a health coach, gratitude and consciousness specialist and even an author of children’s books. Mike and Ben have a great discussion on elevating your consciousness, the rituals Mike has used for his rights of passage, how he lives a life of gratitude and understanding, and much more. Make sure to listen to the end to hear about Mike’s men’s retreat and how he has used his platform as an author of children’s books to teach impactful life lessons to their parents as well. This episode is brought to you by Thrive Market. For 25% off of your first order and free shipping go to ThriveMarket.com/MuscleExpert and sign up for a free account. 4:20- The ability to change your muscle fiber type composition and how a set of twins wound up with completely different fiber types later in life. 8:30- Should you actively train for a fiber type or just train normally and allow your fibers to adapt. 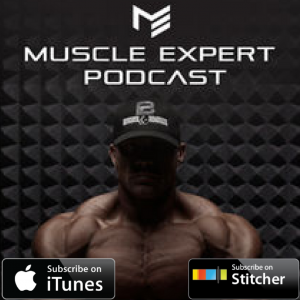 9:40- What are the differences between muscle fiber types. 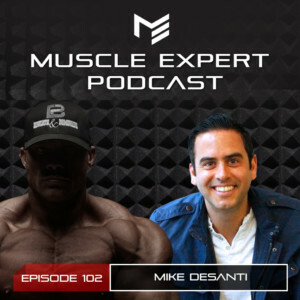 11:15- How do your muscle fiber types effect your recommended diet and caloric expenditure at rest? 14:30- How stem cells, training and steroids effect hyperplasia. 17:15- How long does it take for your fiber types to shift? 19:15- What is the mechanism for fiber type change? 20:45-What is the optimal rep range for changing your muscle to fast twitch? 24:00- Dr. Bagley shares research on the optimal way to train both endurance and for hypertrophy. 27:30- What Dr. Bagley is currently working on at San Fransisco State. 29:45- The difference between MTOR and AMPK responses. 33:30- Listen to your body. Why you should use “feel” to find a MTOR and AMPK balance. 36:00- The influence of ketogenic dieting on AMPK and MTOR. 38:30- Best practices to stimulate MTOR. 40:00- What research is fascinating Dr. Bagley. 43:15- Dr. Bagley’s current research. 44:30- What is the limiting factor in muscle research right now? 49:30- What is needed at the Muscle Phys Lab for them to continue their research?